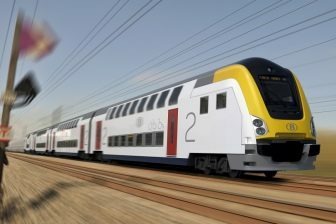 The discussions over the merger of Alstom and Siemens escalated by the new concessions proposed by both companies. While EU competition authorities are reviewing the new offer, some officials see political support for the deal. The EU Commission should announce its final decision by 16 February. On 25 January, Alstom and Siemens proposed to the Commission a new package of concessions in order to satisfy antitrust concerns over possible disturbance of the EU railway industry. 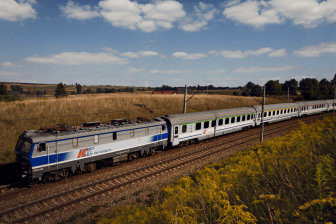 “This package preserves the industrial and economic value of the deal – the order of magnitude of concerned sales communicated previously (i.e., around four per cent of the sales of the combined entity) remaining unchanged,” Alstom announced. EU Competition Commissioner Margrethe Vestager confirmed to Reuters the information about the new concessions. “We are looking at what was handed over to us this Friday. This is the last push, if at all possible”, she noted without making any remarks about the proposal. Some media including Reuters reported on the possible veto of the deal by EU antitrust authority. However, the Commission has three weeks for consideration until the deadline expires on 16 February. At the same time, competition authorities of Germany, UK, Spain, Belgium and the Netherlands have already opposed the deal. Some French and German officials have expressed their public support to the merger. “We need international champions in Europe that are able to compete globally. Talks are in an important phase and we will do everything so that this project has a chance”, German economy minister Peter Altmaier told Reuters. His colleague, French finance minister Bruno Le Maire, was franker. “The German and French governments are in favour of the merger as are the heads of Siemens and Alstom. It is the best response to the rising power of the Chinese in the rail sector”, he commented. 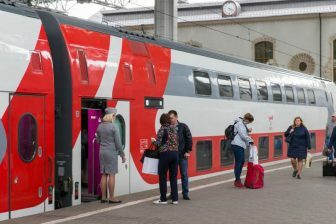 Alliance of Rail New Entrants (AllRail), the association of non-incumbent passenger rail operators, expressed its concern over political pressure on the EU Competition Commissioner Margrethe Vestager. “If the EU single rail market is to become a global reference, competition policy must be enforced through law and not political pressure. The answer to protectionism elsewhere around the world is not more protectionism here in Europe,” AllRail noted in its official statement. The association noted that the antitrust authority should approve an independent decision. “We hope the other 27 EU commissioners will support the decision of competition commissioner Vestager on this merger, rather than bending to political pressure from powerful EU member states”, Nick Brooks, the AllRail’s Secretary General, summed up.